22 posts categorized "Firm Branding"
I found this article about Gen Y and financial planning (and social media and web research) pretty interesting: "Firms Must Embrace Social Media to Reach Gen Y." I don't know that I agree that financial advisory firms (or other businesses) MUST embrace social media, per se, to reach Gen Y. But it's a wise approach for exposure since social media dramatically increases your ability to be found online, and Gen Y peeps most definitely turn to the web to find ideas and solutions. And as the article's author Hannah Wu points out, the ability to communicate with your advisors using alternative channels can be perceived as an added benefit. I think my friends (and past clients) Michael Goodman and Annette Clearwaters, when they co-founded Clarity a few years ago, created a brilliant approach with their DIY-and-as-needed-assist approach geared for exactly the folks Hannah describes. Check out their Glossary, for instance. For beginning investors, the ability to quickly define terms that are new to them is extra comforting. Annette worked with Michael in his wealth-management practice Wealthstream Advisors which, like most financial-advisory practices, serves people of high-net worth and has higher investment miminums than most people who are starting out will have. Wanting to also help beginning investors who aren't a match for Wealthstream (yet) and both understanding and appreciating the DIY approach that Hannah describes, they launched Clarity. 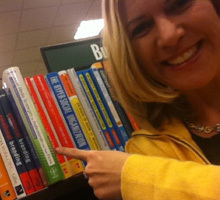 How helpful might a DIY or start-with-research person find your website or blog? Back to Hannah's article, using social-media channels to get the word out about financial-advisory (or any other) services is beneficial, but the bigger issue is making sure the service offerings are matched to the people who use a given channel. High-net-worth Boomers are definitely online, but they tend to run in different web circles than Gen Y, wealthy or not. Boomers are on Facebook to see pics of their grandkids and reconnect with their childhood and college friends. Gen Y are also on Facebook, but Tweet a lot as well. 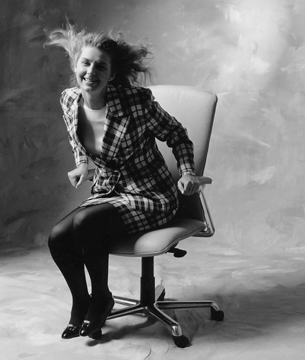 Boomers and Gen X are on LinkedIn, Gen Y not so much. Facebook has amazing advertising potential when you know the demographics (education level, career, social, political, geographical) of your audience. LinkedIn, too. Twitter is not so great for isolating any group, but has massive viral power. LinkedIn is sort of in the middle. Make sure your service offerings are described very clearly so people can easily tell when they are a fit with you, and you with them. Help people know what your culture is and isn't. If you or your firm come across snooty, too formal, or jargony, you'd probably alienate or intimidate more down-to-earth types or less sophisticated investors. This isn't just an age thing, maybe you're in a rural community. Or a beach community. Can someone tell if it's okay to meet with you in jeans or shorts? Scrutinize everything you convey—visually and verbally—with your eyes wide open to all possible external perceptions. Country-club fonts and stock photos of crisp white shirts with gold cuff-links? Will this resonate with the clientele you seek? Would it put them off? Find the places where your target buyers are already hanging out and become more visible in a helpful, friendly way, not a self-promoting way. If you want people to trust your financial advice, they have to feel comfortable with you. Not intimidated, not overwhelmed, not underwhelmed. Conveying confidence without arrogance, and listening thoughtfully and respectfully are as important online as offline. 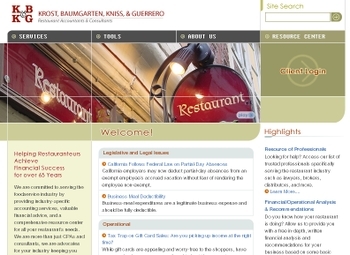 Congratulations to my friend, CPA marketer Rob Orr, on a terrific-looking website for his new firm, Graf Repetti. When Rob arrived at the firm, as their first marketing director, the website was a fairly typical first generation website: no pictures of real people, ordinary text, and design scaled for 800x600. The biggest problem with it, though, was that all the text on every page was embedded in pictures so search engines couldn’t index a darn thing. With plenty of potential "first projects" to choose from, Rob knew the old website was a liability hindering recruiting and marketing efforts because search engines couldn’t pick up much of anything about the firm. It simply couldn't wait. He made it a priority to focus on a rebuild and a fine job he did. I love the messaging and the partnering/pairing “2” concept, I love the curves, and I love to be able to see the real people in the firm. A huge leap forward for Graf Repetti. Well done, Rob! Who you aren't (see my last post) often comes up when discussing who you are. A brilliant comment to that post from my friend Marijean Jaggers (of Standing Partnership, a PR firm) inspires me to post more on this subject. The result of the "who are you" question ends up being a specialization definition. Problem is, the bigger a firm is, the less comfortable they are "eliminating" anyone. Seat squirming begins. To illustrate, I'll use some extremes. How about this firm, not only BOLDLY illustrating whom they DO serve, but using copy to entice (hmmm, perhaps a bad word choice?) their prospective clients by stating that they should no longer be shunned by other firms. "Have an adult business your accountant doesn't understand or wish to deal with..."
Hey, I said it was an extreme example. Anyway, my point is, the specializing approach isn't going away. In fact, more and more firms, particularly newly emerging boutique firms, are employing this strategy. It makes sense! As laws and regulations get more and more complex, it's just getting too expensive, and FAR too risky, to "generalize." So, here is a much more tame example focusing on the restaurant industry. Again, my point -- stated in a different way -- is that nothing is more compelling than representing your limits. All things to all people is compelling to absolutely no one. A couple things for a couple groups is somewhat more compelling. All things for one group is significantly more compelling. A limited number of really strong things for one group is the most compelling. If I've said it once, I've said it a hundred times. Figure out who you are (and who you AREN'T) and boldly state BOTH! Hat tip to Brian Weinstock at Danna McKitrick for pointing me to Partridge Snow & Hahn's "Brand PS&H" page. Todd Andrlik (who goes by Todd And) is a fresh-thinking PR & marketing consultant who was inspired to develop a list of the Top Marketing Blogs that he calls the Power 150. He built it because he was looking for the best blogs on marketing, PR, branding, etc., and could only find a consolidated list in Dutch. So he set about developing an English language version and that's what you'll find here. His scoring is a blend of popularity (Google pagerank+subscribers from one Bloglines feed+Technorati rank) and his subjective score. There are a ton of fantastic blogs to explore in this list! I still haven't got through checking them all out. After his top 150, he lists about as many "honorable mentions." With so many excellent blogs on marketing, I'm very honored that Golden Practices--especially being niche specific--is on this list (presently at 182). I owe my readers, and Todd, a big thank you for that. Be sure to check out some of the other 295 blogs he has identified. And if you want to search these blogs for specific advise, click on his Kitchen Sink link and do a keyword search. For anyone with marketing questions, this is a HUGE resource! Thank you for creating this, Todd! 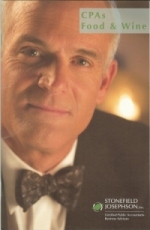 Inc. magazine features Jeff Garrison, the managing partner of Stonefield Josephson in CA. What a fun way to break the stereotype of boring CPA. Jeff Garrison, Stonefield Josephson's managing partner, is featured in April 2007's Inc. magazine on page 86. Jeffrey Garrison wants to shatter the CPA stereotype. “I’ve never worn a pocket protector,” he says. 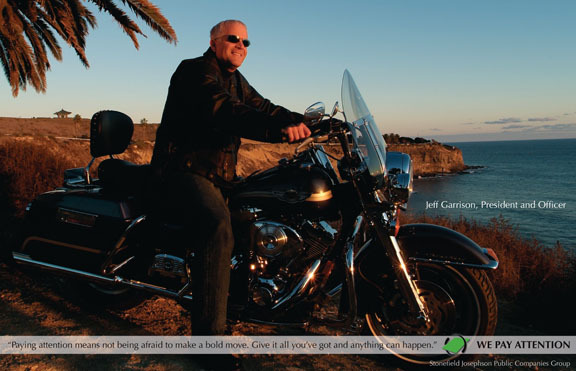 Instead, Garrison, who has led the Los Angeles-based full-service accounting firm Stonefield Josephson since 2002, prefers to don a leather jacket and straddle a Harley. 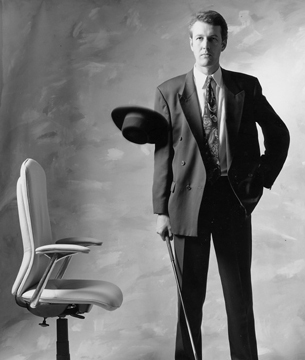 It’s a look he displayed in an advertising campaign to show the firm’s personality. “Accountants aren’t dorks,” says Garrison. To prove it, the company maintains a “back porch” section on its website to showcase the private passions of its CPAs, which range from art collecting to surfing to cooking. On the site, CPAs offer recipes for paella, chicken tarragon, and other favorite dishes, and Garrison suggests wine pairings. Exposing the firm’s soft side has helped it reach $40 million in annual revenue, says Garrison, and attract hip clients such as the Black Eyed Peas, the Sports Club/LA, Paul Frank Industries, and True Religion. Among the things he "Can't Live Without"? I absolutely LOVE when firms are comfortable showing their true personalities! In this era of "reality" EVERYthing, authenticity not only sells, it's requisite! 2. Bring in non-technical experts to speak at exclusive events you host or underwrite. Other industry experts or entertainers mean less work for you, more enjoyment for the audience, and you get all the credit. 3. Attend industry seminars and other events where you see, or even accompany, your clients. 4. Spend ample time developing processes to most effectively (and profitably!) serve THOSE clients. 5. Continuously add and improve products (services) to solve problems inherent in that industry. 6. Read and write for key print or on-line publications of the industry. 7. Explore, teach, and even help legislate about a variety of topics (meaning not JUST accounting or legal topics) within the industry. 8. Feature industry specific websites/blogs, updated often to show day-to-day involvement and expertise. 10. Partner with other organizations to provide non-traditional solutions when it’s not practical or profitable to have the resource in-house. We do at least seven of these. How many do you do? B2B gives "bad web"? Yep. Especially when compared to B2C sites. "Many business-to-business (B2B) sites are stuck in the 1990s in their attitude toward the user experience. Most B2B sites emphasize internally focused design, fail to answer customers' main questions or concerns, and block prospects' paths as they search for companies to place on their shortlists. Considering that there's immensely more money at stake for B2B than for business-to-consumer (B2C), it's astounding that B2B sites offer a much worse user experience." I couldn't agree more. Lack of clarity, lack of interesting information, and lack of direction (i.e. "where do I go next?") render most professional service firm sites useless. Campbell picked up Nielsen's research findings from Dianna Huff, author of the Marcom Writer Blog (another great resource, especially for marketing professionals). Here, Huff emphasizes the need for stronger content and "best practices" with regard to navigation. One thing I see repeatedly with B2B sites is lack of content. “Our Website is our online brochure,” business people will say to me with regard to a five or six-page site. Unfortunately, people don’t view Websites the way they view a 6-8 page glossy color brochure....And, when was the last time a prospect made a buying decision based on a brochure? B2B sites must also support the decision/buying process for each person in the buying cycle — whether influencer or decision maker. One of the biggest differences between B2B and B2C might be that most B2B companies don't seem to see themselves as engaged in e-commerce. Perhaps this is because most B2B sites don't have shopping carts. The typical B2B product can't be purchased through a simple Add to cart button...also prices might not be fixed, but rather adjusted to each customer. However, the lack of an Add to cart button doesn't mean that B2B vendors should ignore their websites. The site should still support the many other stages of the buying process — including the post-sales stages, which are crucial to customers' long-term brand loyalty. Nielsen makes some other statements that answer some common questions firms ask. I've framed the questions and inserted, as indented text, his statements. Why is "free" information (whitepapers, articles, blogs) essential? Most important, B2B sites can be great lead generators. Prospects use websites during their initial research and stick with the helpful sites during subsequent research. Why are brochure sites (without detailed information) a problem? Most of our users also said that when they were thinking of doing business with a company, one of their first actions was to check out its website. Thus, a site that inadequately communicates the credibility of a vendor and its products can seriously deter incoming leads -- long before your official sales efforts begin. What is the worst mistake B2B sites make? The most user-hostile element of most B2B sites is a complete lack of pricing information. And yet, when we asked users to prioritize which of 28 types of B2B site information mattered most to them, prices scored the highest by far (29% higher than product availability, which ranked second). Sites have many excuses for not wanting to display prices, but they are just that: excuses. Users expect to get a basic understanding of products and services during their initial research, and they can't do that without some idea of what it's going to cost. Even if your company can't list exact prices, there are several ways to indicate price level, which is really all people need initially. Interesting find! Remember, though, readers look at sites to qualify possible solutions. how you price, for example www.exemplarlaw.com touts "no hourly bill, no hourly bull"
unique payment terms, do you spread payments out for clients? One thing is apparent. If readers cannot find what they need, they may never call and you may never know what you've missed. One reason so many B2B sites have poor usability might be because they're less directly accountable for sales. On a classic B2C e-commerce site, every single design decision directly and measurably affects the site's conversion rate and other metrics, such as the average shopping cart size. Many B2C sites are religious in their observance of e-commerce usability guidelines because they know from their own statistics how much money they lose every time they get usability wrong. In contrast, because B2B sites don't close sales online, they can turn away the vast majority of users and never know how many sales they've lost. A company can determine how its site helps or hinders users only by conducting user research with representative customers -- something most companies don't do. Given our experiences in testing 179 B2B sites, we can safely predict that most companies would be shocked if they ever tested their own sites. We're really excited about yesterday's launch of our client's new identity and website. This was by far quickest website we've ever developed--we only began in January! Their marketing director, Erin McClafferty was outstanding to work with, was exceptionally open to ideas, and brought a fresh sense of creativity to the project. A very fun project. 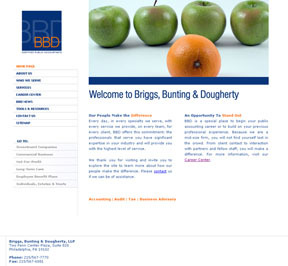 Briggs Bunting & Dougherty is one of the few CPA firms specializing in mutual fund audits. We wish them a ton of luck in growing their practice. Mark Merenda on his Smart Marketing blog has a great post on taglines! Merenda points to lawmarketing's collection of over 100 taglines (thanks for the refresher, Mark, I'd forgotten about this interesting list). He also highlights the longest (perhaps a descriptor rather than a tagline, but definitely waaaaay too long of a sentence--rather amusing) and the shortest: "N.A.A." (Not An A**hole)! The other day, I posted on firms needing to distinguish themselves more effectively. I'd like to emphasize that the claims of "actions" must be readily apparent in a brochure or website. If they aren't evident just by their nature (e.g. no charge for phone calls, no hourly billing, etc) then they must be substantiated somehow or another (testimonials, case studies, etc). Let me express: service quality isn't going to be impressive enough as a differentiator. Most firms pay lip service to things like "responsive," "on time," or "proactive" in their brochures or on the web. These are basic expectations, folks. No one can argue that they should be the rule, not the exception! Just as competence is expected by a paying customer, so is good service. In marketing, nearly every firm now claims the above traits (though few consistently deliver) so while doing these might actually make you different, claiming them doesn't at all differentiate you, rather it throws you right into the pack. And citing these as advantages of working with your firms just shows how low the bar is within the profession, doesn't it? All this "timely, proactive" stuff just sounds like blah-blah-blah to the customer who has found that firms don't usually do a good job despite their claims. Great. Now we have false advertising. And on stuff that should be a gimme. But I digress. Not tracking time (trash the timesheet) -- think how much law or accounting students are drawn to these firms!! It is undeniable. There is a price to pay--an investment--in becoming distinct. Most firms won't DO these things because they aren't easy. And they are non-traditional. They are different. Innovative. Not safe. But customers and recruits eat them up. Few Firms Get the Point of Differentiation. How hard is your firm working to differentiate itself? Either in your customer marketplace or talent marketplace, it is very likely that while you are trying so hard to differentiate yourselves, you are all doing it the SAME WAY. It's not helping you to be truly DISTINCTIVE. "Based on websites, brochures and materials sent to law student recruits, could she differentiate between the many firms with which she was interviewing?" She paused for a long time before answering. Finally, she responded as nicely as she could. "Frankly, based on the materials, all of you seem to be exactly the same." 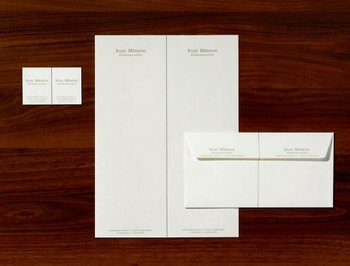 Remember, your brochures, websites, etc, are just words. And pictures. Your words and images in your marketing materials will only be distinct if they demonstrate what you DO DIFFERENTLY from everyone else. You can't fake differentiation in a brochure or on a Web site through design elements, taglines and word choices. If so, tell the story. If not, you might want to start distinguishing yourself from the rest. Either via specialization, employee policies, unique leadership structure, or something even more powerful. When you are competing for amazing customers and brilliant talent, you've got to prove you're worthy of them. Lyne Noella, Director of Corporate Strategy, and her team at this creative California accounting firm have put together a classy print version of recipes--taking the recipe featured of their cool back porch to yet another level. Cudos, Stonefield Josephson, for continuing to show the human side of your firm's professionals! Photo courtesy of Bodine's post detailing the features of the cookbook. In professional firm circles, discussion arises frequently about what to do with long firm names, especially those consisting of long-retired partners. "Not only does this new name put the focus on what their business really is, it also has a degree of permanence to it. It will survive regardless of the names of the people who happen to be the owners now or in the future." 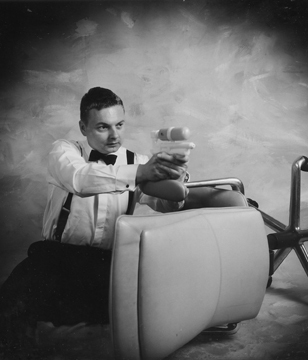 But check out these unusual and artful bio photos. I've seen some cool approaches to unique bio photos before such as those from the Canadian law firm depicting hobbies or personal interests and the Eastern US firm who uses caricatures, but these are really over the top. Some are hobby-like, but others are just off-the-wall. Then some of their bio descriptions are hysterical...reflecting that fantastic British humour, I suppose. Take the gent who describes his "Personal Highlight" as "Going home in the evening"
Amazingly, their bios say almost nothing about their credentials beyond their position, practice area and, for some, the year they joined the firm--but the missing lists of professional accomplishments doesn't matter one iota. What they've done is humanize themselves spectacularly. Way to break out from the pack. So let's hear three cheers for DWF! Hip, hip, hooray! A great article appeared yesterday in Business Week online called: Slogans That are the Real Thing. Written by Smart Answers columninst, Karen Klein, the article is a Q&A with San Mateo based marketing and branding expert Eric Swartz. It covers what it is that makes a great tagline and includes some results from a study Swartz conducted to determine which taglines have stood the test of time and have helped companies increase their brand equity. "For instance, there may be about five positions that toothpaste companies can stake out: tastes good, fights cavities, whitens teeth, freshens breath, etc. When Tom's of Maine entered the market very late, they had to pitch something different -- the environmental benefits of their brand. Otherwise, they would have just encroached on what their competitors were doing and diluted their entry into the marketplace." As to what makes a bad tagline, Swartz warns against making it too clever-sounding such that it calls unnecessary attention to itself "Look at me, I'm a clever tagline!" He says that a tagline that "comes across as pompous, nonsensical, meaningless, or confusing" misses the mark or can even backfire. If your firm is thinking of creating a tagline, remember that a firm tagline can be good for big picture branding, but individual practice areas may merit their very own taglines. Think about the difference of importance to you, at purchase time, between the Proctor & Gamble brand and tagline/mission "We will provide products of superior quality and value that improve the lives of the world's consumers." verses their specific paper towel ("Bounty. The quilted quicker picker upper.") or deodorant ("Secret. Strong enough for a man, yet made for a woman.") brands and the product specific marketing they do. If you have a Business Valuation niche or Retail practice group, your commitment to those specialized services is amplified when you take the time to brand them independently. This article is a great read if you're going to go down the tagline path anytime soon.